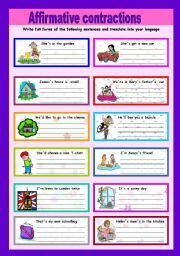 Basic sentences about the weather for beginners. 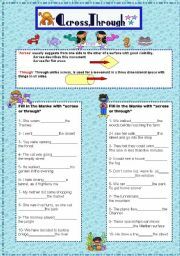 First page: negative and interrogative sentences with the verb to be and have in the present simple. 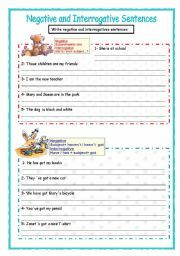 Second page: more exercises to practice negative and interrogative sentences in the present simple and continuous. 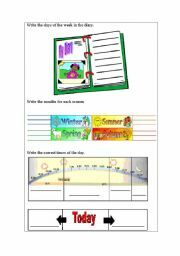 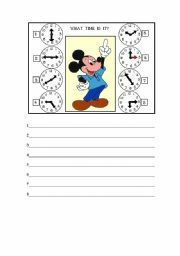 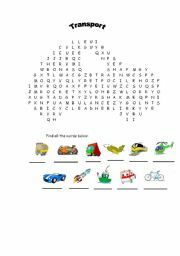 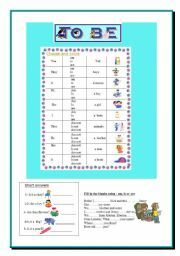 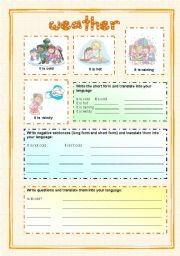 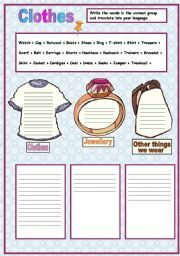 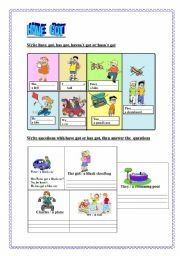 An elementary worksheet about the verb to be for little children.